How Many Calories Do Bing Cherries Have? The skin of a nectarine is a healthy source of fiber. 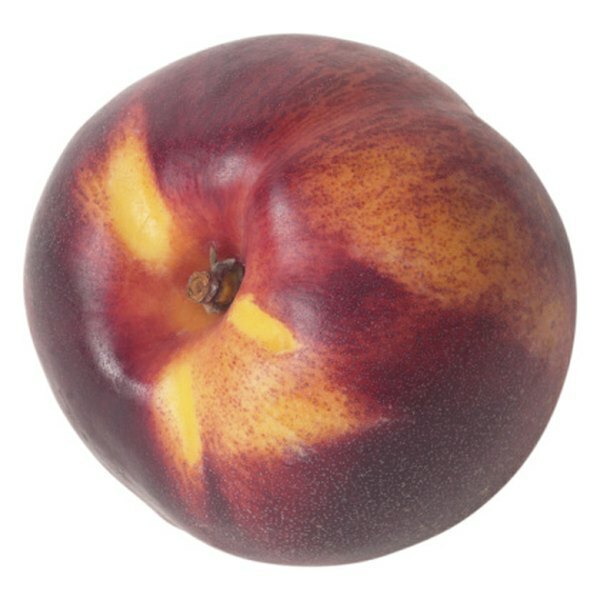 Nectarines are a cousin to the peach, but have a smooth rather than fuzzy skin. 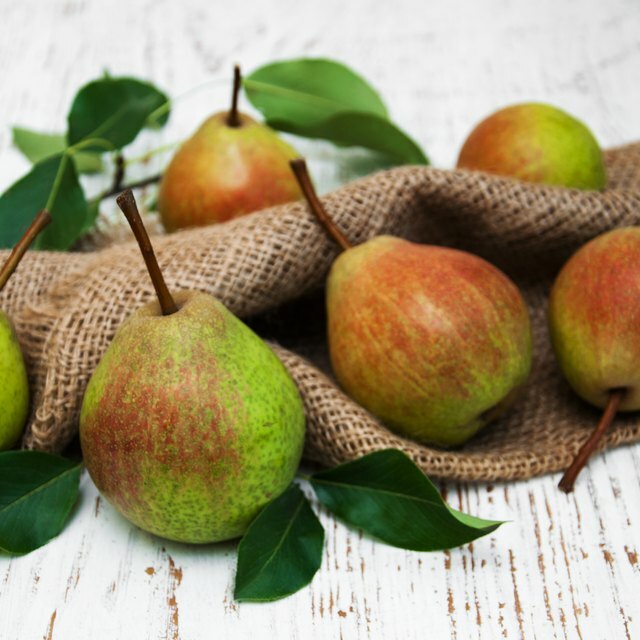 Their brilliant orange or bright white flesh is both sweet and tangy. Margaret Fulton notes in her book, "Encyclopedia of Food and Cookery: The Complete Kitchen Companion from A to Z," that nectarines can easily replace peaches in most kinds of dessert recipes. Baked peaches are a popular summer treat. Substitute nectarines for peaches to achieve a slightly different taste, as well as some nutrients like vitamin C and potassium. Spray a baking dish with nonstick cooking spray. Wash each nectarine and cut it in half. Remove the pits using a sharp knife. Place the nectarines, skin side down, in your baking dish. Pour apple juice around the bottom of the nectarines. Dot the surface of each nectarine half with a small amount of the melted butter using a basting brush. Sprinkle the nectarine halves with brown sugar, cinnamon and cloves. Place the baking dish in the preheated oven and bake the nectarines for 30 minutes, or until very soft. Pierce with a sharp knife to check for softness. Remove the baked nectarines from the oven and cool slightly. Serve with low-fat plain yogurt sprinkled with cinnamon and a fresh mint leaf for garnish. Allspice, apple pie spice and ginger are other flavor options for baked nectarines. Replace the brown sugar with white sugar for similar taste but a lighter color of syrup. Use orange juice in place of the apple juice for a tangier version of baked nectarines. For a summer treat, serve with homemade vanilla ice cream or drizzle with honey while still warm. Do not allow the juice to completely evaporate from the bottom of the baking dish. If the juice does evaporate, pour a bit more in during baking. This prevents the nectarine skins from sticking to the pan and also helps them cook evenly throughout. How Much Time Does It Take to Bake Japanese Yam?